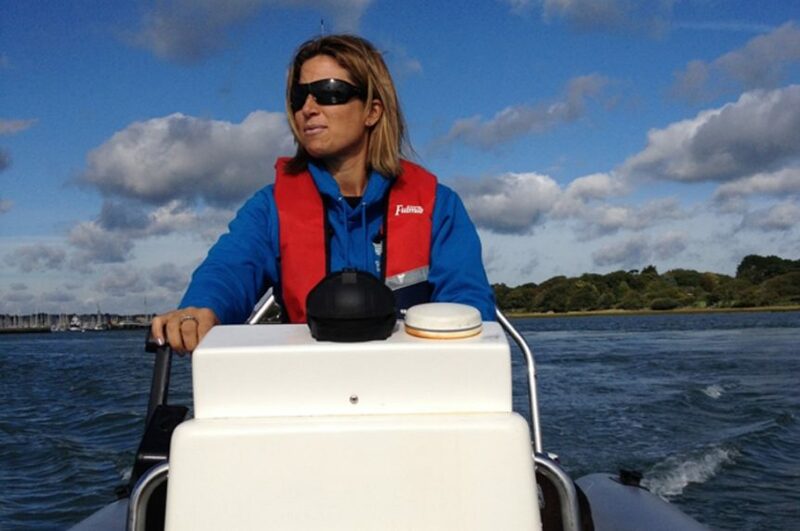 Want to be a RYA Powerboat Instructor? With the right experience, you can complete this is a 3 day course and start teaching! Do you think you have the skills to teach the RYA Powerboating courses? Come and take this specific training at the well established Mylor Sailing and Powerboat School, in the fantastic waters of the Fal Estuary. After completion of this 3 day training course, you will be able to teach RYA Levels 1 and 2 to children and adults. RYA Powerboat Level 2 can be taken from the age of 12 and upwards. For those instructors who hold the RYA Safety Boat Course, you can also teach this at the discretion of the Principal of the RYA recognised centre, due to your experience. Pre-Course Work: On booking this course, candidates will be sent the full information via email which will contain full details of the pre-course work involved which will include topics for discussion and topics to teach on the course. You will be teaching to your peers and will learn good teaching practice and the best way to teach to a variety of learners. This work must be completed prior to attending the course. The maximum number on a course will be 6 people. This 3 day course covers all aspects of teaching beginners and improvers powerboating skills and is the first rung on the powerboat instructor ladder. During the course you will be taught the RYA’s teaching framework known as ‘The Method’ which encompasses the RYA Powerboat Level 2 course. The course is very intensive and may include some evening sessions. Prior to the Instructor Training Course, candidates must attend a pre-entry skills assessment. If you have not already completed the pre-entry assessment then this can be arranged but will probably take place approximately a week before or on special circumstances can be arranged as 1:1 tuition. The powerboat skills assessment ensures you have the necessary personal powerboat driving skills and knowledge to under the RYA Powerboat Instructor course. It is a pre-entry requirement for the RYA Powerboat Instructor and includes the opportunity to brush up on personal powerboat driving skills followed by a skills assessment which will require a high standard of boat driving, seamanship and personal knowledge within the Powerboat Level 2 syllabus. The course is designed to assess your powerboat handling skills and background knowledge with candidates expected to demonstrate their ability in all aspects of the Level two syllabus as described in the Powerboat Logbook G20. The pre-skills assessment will be carried out by a RYA Powerboat Trainer at a recognised training centre or affiliated club. Only candidates holding a RYA Level 2 Powerboat certificate with a coastal endorsement will be eligible to attend a coastal instructor course. The candidate will be given the opportunity that they can demonstrate a level of proficiency in the subject being assessed. Therefore the candidate should be able to explain the subject in great depth, including background theory and practical demonstration. Where can I get the RYA publication books that I need for the course? You can follow the links above which will take you through to an online shop. We do not stock the RYA Powerboat Instructor Handbook as you need to purchase this before arrival and have read through it first. A minimum of 4 and a maximum of 6 people are allowed on the course. This is the RYA regulations. Is there parking close to the training school? Yes we are located on a quay which is a car park. A free pass is available for the duration of your training with us. What kind of boats will be used for the training? We have a Humber Destroyer RIB 5.8m with a 115hp Suzuki Outboard, and also a Humber Ocean Pro RIB 5.3m with a 60hp Suzuki Outboard. What facilities are at the marina? There are many facilities in Mylor Yacht Harbour including Café Mylor, showers, accessible toilets, parking, Mylor Chandlery, West Country Watersports equipment shop. You will be sent an information document showing all local amenities.